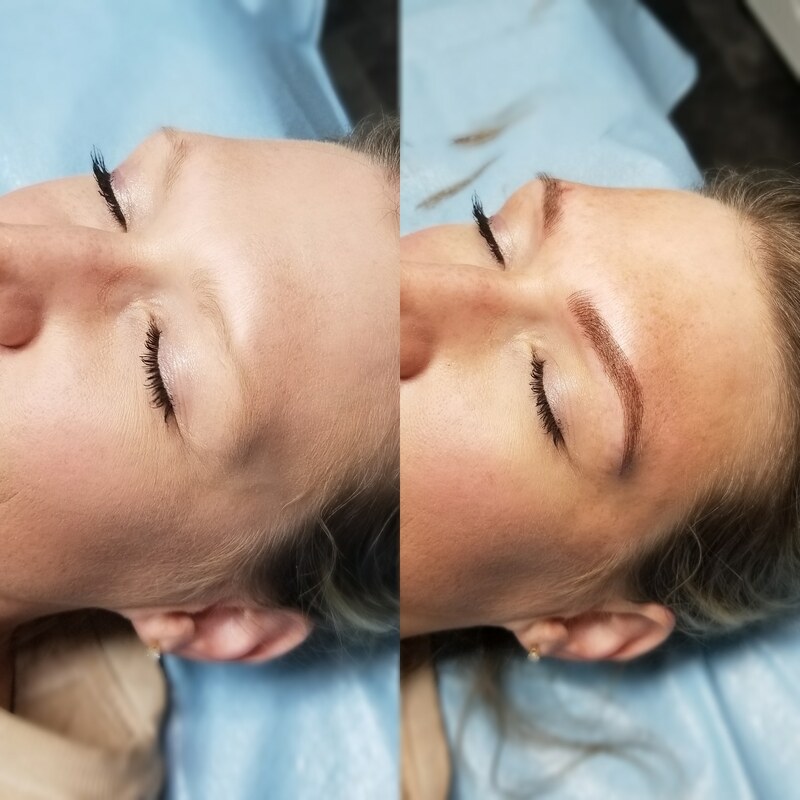 Microblading is a form of permanent cosmetics that uses a manual method to create hair-thin strokes to provide the client with the optimal shape, color, density, and thickness of brows based on their personal preferences and what is complimentary to their face. These hair-thin strokes mimic the natural brow hair and provide a very natural result. 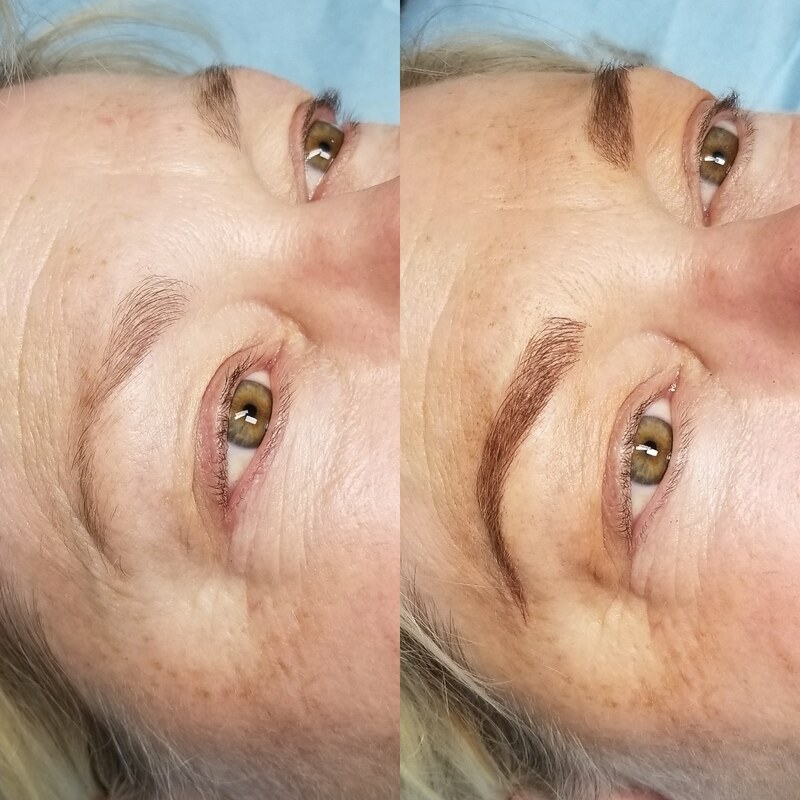 Microblading can last 1 to 2 years with proper care. 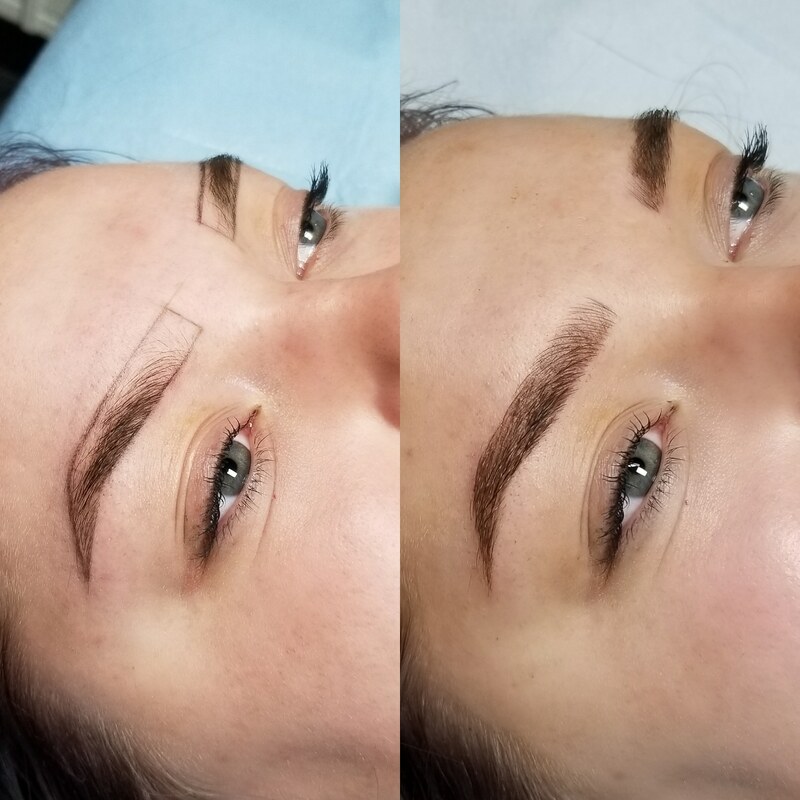 When microblading just isn’t enough, we bring in this method which incorporates shading using a manual tool. 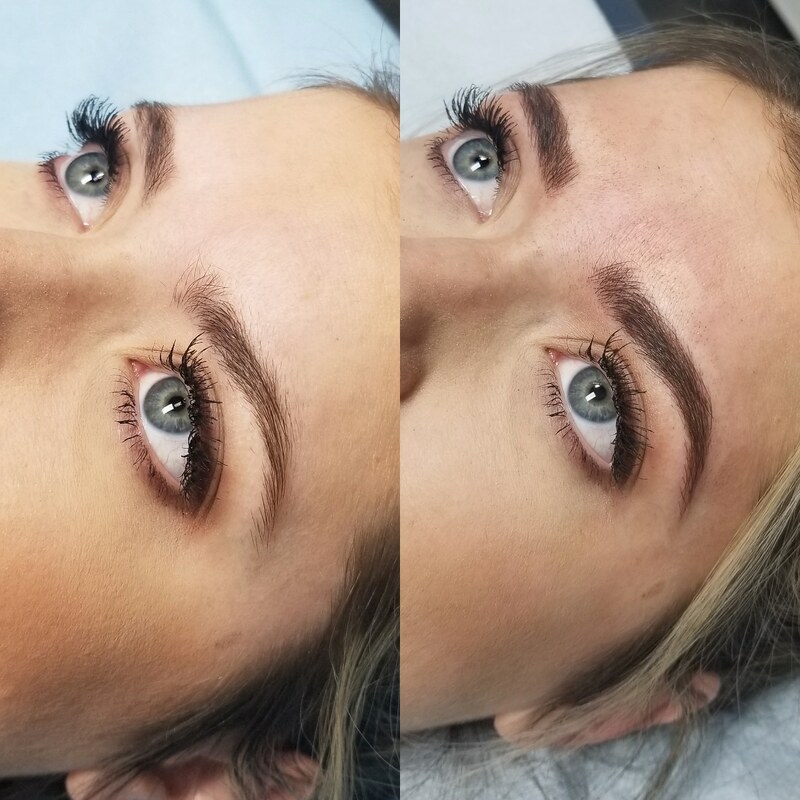 This creates a wash of color behind the handmade hair strokes to make those brows pop that much more! Results can last 1-2 years with proper care. This is a semi-permanent, thin line that goes through the base of your lash line. It makes the lash line appear darker and it gives the appearece of darker, more dense lashes. This is a very natural form of eyeliner. Eyeliner can last 1-2 years with proper care. Choose your style – whether it’s thick, thin, or winged. This form of eyeliner goes through the base of your lash line as well as slightly above the lash line to created the desired eyeliner look. Eyeliner can last 1-2 years with proper care. 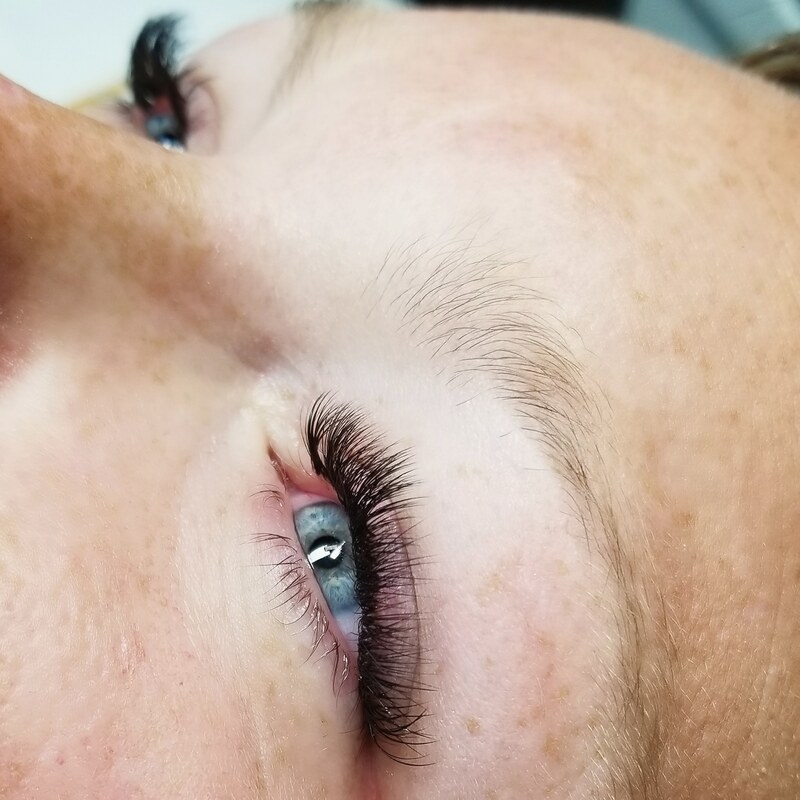 1:2+ Volume lashes consist of multiple, ultra thin individual extensions that are strategically fanned out and placed onto a single natural lash. Volume lashes are great for clients who are wanting to achieve a glamorous, full, or fluffy look to their lashes. They can also be your lash savior for clients who have sparse or damaged lashes. These can be tailored from natural to dramatic depending on the desired look and health of the natural lash. A beautiful mix of classic lashes and volume lashes provides a dense and textured look. 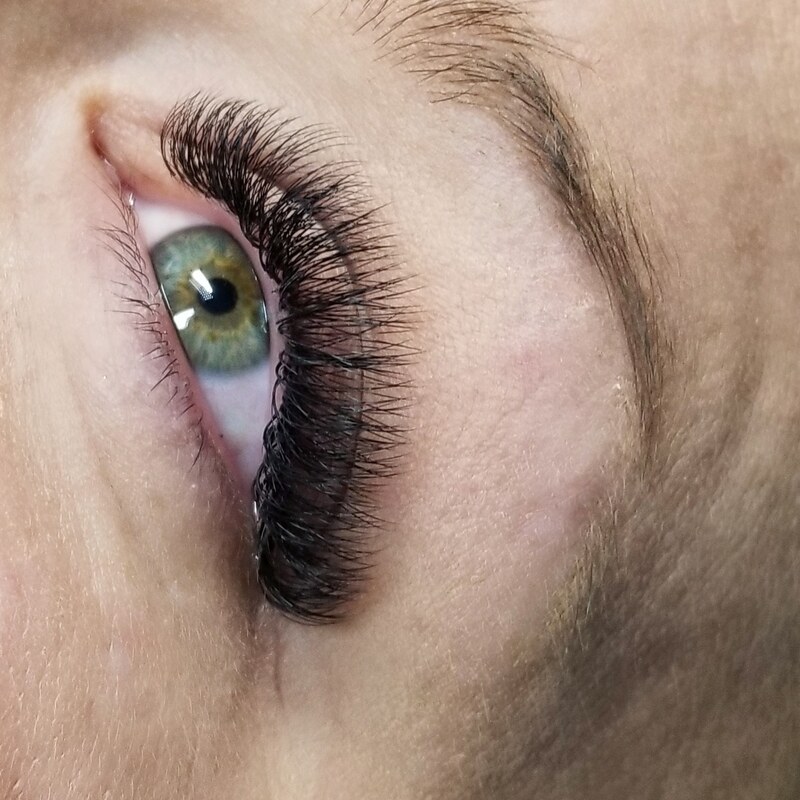 A lot of different styles can be achieved using hybrid extensions and they are great for clients who are wanting to add more fullness to their lashes. These can be tailored from natural to dramatic depending on the desired look and health of the natural lash. 1:1 One extension per one natural lash. Classic lashes provide an enhanced “mascara” look and are great for first timers or clients who are wanting to add a little glam while flirting the line of “are those her real lashes? !” Results vary depending on the length and strength of your natural lashes, as well as how many natural lashes are healthy enough to be lashable.